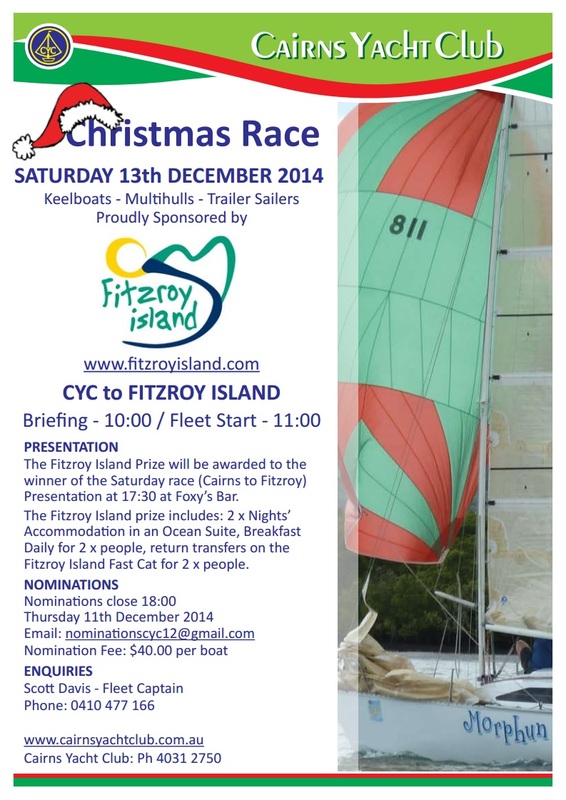 CYC Christmas Party & Race to Fitzroy Island – Final race (apart from WAGS) for 2014. Saturday, 13th December. Briefing at 10am. Nomination fee – $40 per vessel. Please refer to attached sailing instructions and flyer for further information, or check the CYC noticeboard.